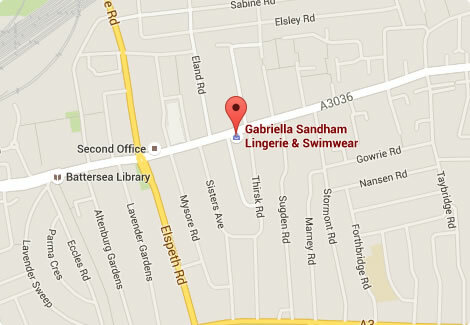 At Gabriella Sandham we believe that underwear is every bit as important as outerwear. With the right underwear, the rest of your outfit will look fabulous, whereas badly fitting underwear can completely spoil your look. For women, the right bra is key – not only the basic measurement and cup size, but also the type of bra should be very carefully considered. Do you look better in a plunge bra or a balconette? Sometimes it’s hard to know what looks best without a bit of help and advice. Gabriella Sandham offers a free consultation service where you can be professionally measured and have the chance to discover what underwear is best for you. Consultations last an hour and are completely without obligation to purchase from our store.